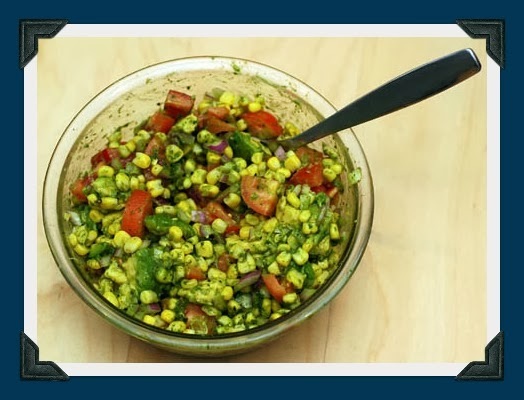 I found this great summer salad on Paula’s Home Cooking, courtesy of my cooking idol, Paula Deen. Surprisingly, this particular P.D. recipe contains no Crisco, bacon fat or sour cream. [I looooove Paula Deen’s fatty homestyle cooking, but unfortunately, my hips don’t.] Now that Paula has been diagnosed with diabetes she is cleaning up her cooking, so many of her recipes are taking on a healthier nature. This is a variation to a recipe from one of those free little recipe books at Whole Foods. 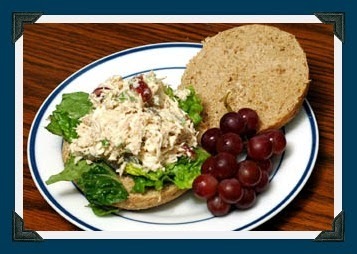 The grapes make it stand out from a garden variety chicken salad. I didn’t have some of the ingredients on hand in the original recipe, so I had to improvise a little….. but it was delicious nonetheless. It’s the time of the year when the only thing you want to eat is something hot. 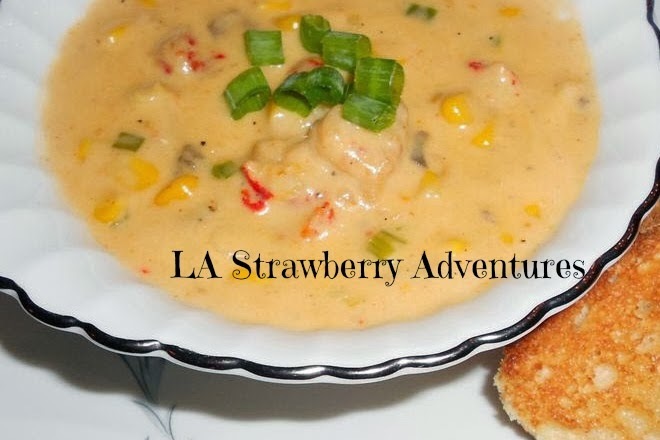 Saturday was a cold and wet day here in South Louisiana, so my sweet hubby (being a much better cook than I) made a delicious Crawfish & Corn Soup. Melt butter in a large pot over low heat, and stir in flour. Cook, stirring constantly to make a blonde roux, about 5 minutes. Add yellow & green onions, green bell pepper, celery and garlic, cook until wilted. Pour in milk, heavy cream, creamed corn, whole kernel corn, and cream of potato soup. Season with Creole seasoning, hot-sauce, salt & pepper. Stir to blend, and cook over medium heat for 20 minutes. Add the crawfish, and cook for an additional 20 minutes. I haven’t been feeling well this week and dinner has quickly turned south. Hot dogs, corn dogs, pizza delivery….. Ugh. I am done. 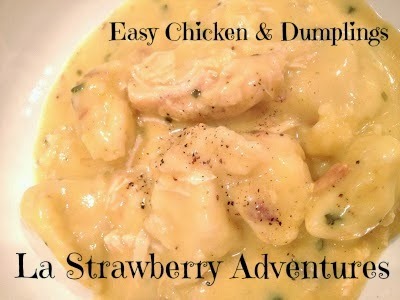 Its also finally starting to cool off down here in the Deep South, so what better idea than my Easy Chicken & Dumplings for dinner? I literally spent no time at the stove and we ended up with a delicious dinner. This is really to taste. I don’t actually measure the seasoning and it will really depend on your own taste as to how much you will want to use. Combine the above in the pot and bring to a boil, stirring occasionally. Don’t forget to stir or you will end up with scorched milk. 4 rolls of CHEAP can buttermilk biscuits – I am talking the cheap small ones. Cheaper the better, honest! Take each biscuit and break off into pieces. You will get 4-6 pinches off of each biscuit. Throw into the boiling broth/evap. milk mixture. Really, after about 15 minutes of the biscuits boiling in the liquid you could be eating, but I like mine to thicken up and be more of a stew consistency than a soup consistency. 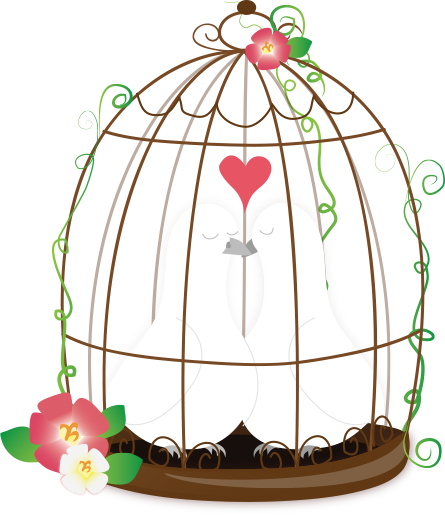 Its really a matter of preference. Once you have added your pulled pieces of biscuit, you need to break the chicken into bit size pieces and add it to the pot. From the time my biscuits go in, I am usually serving bowls of this up within 45 minutes. I am from South Louisiana. Let’s face it, folks…. we are known for our love of food. 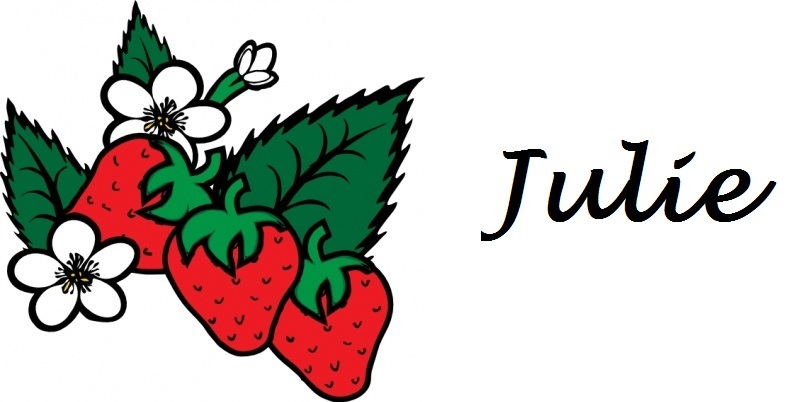 We love to grow it, we love to cook it, we love to eat it, and we love to share it! From delicious chicory coffee & beignets at Cafe Du Monde to the Thin Fried Catfish at historic Middendorf’s, we know how to eat some good tasting food in South Louisiana! Arguably one of the most well known chefs in Louisiana, is Chef John Folse. A renowned chef and resturant owner in Creole and Cajun cooking. From hosting food shows to writing books, Chef Folse has made his name in the food world. One of the best cookbooks known to man (at least in my humble opinion) is The Encyclopedia of Cajun & Creole Cuisine by John D. Folse. Its not just a cookbook. Its loaded with beautiful photos of Louisiana and a history lesson on top of it all. Its not cheap, but this is one of those cases where I can promise you, you get what you pay for! From his book & also his website, I will share with you my favorite “go to” cold winter recipes of Chef Folse’s. 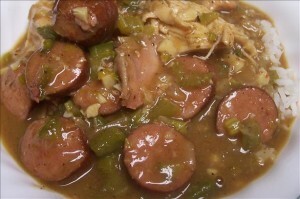 Chicken and sausage are the most popular gumbo ingredients in Louisiana. The ingredients were readily available since most Cajun families raised chickens and made a variety of sausages. Oysters were often added to this everyday dish for a special Sunday or holiday version. NOTE: You may wish to boil chicken 1–2 hours before beginning gumbo. Reserve stock, bone chicken and use meat and stock in gumbo. Using a sharp boning knife, cut hen into 8–10 serving pieces. Remove as much fat as possible. Cut smoked sausage into ½-inch slices and set aside. In a 2-gallon stockpot, heat oil over medium-high heat. Whisk in flour, stirring constantly until golden brown roux is achieved. Stir in onions, celery, bell peppers and garlic. Sauté 3–5 minutes or until vegetables are wilted. Blend chicken and sausage into vegetable mixture, and sauté approximately 15 minutes. Add chicken stock, one ladle at a time, stirring constantly. Bring to a rolling boil, reduce to simmer and cook approximately 1 hour. Skim any fat or oil that rises to surface. Stir in mushrooms, green onions, bay leaf, thyme and basil. Season with salt, pepper and hot sauce. Cook an additional 1–2 hours, if necessary, until chicken is tender and falling apart. Stir in parsley and adjust seasonings. Serve over steamed white rice.